“We just wanted a response,” Froggatt said after the 3-0 victory at the Moat Ground. “Their actions on the pitch (in the first half) weren’t great and we had words at half-time. “We could have quite easily gone in two or three down at half-time and we couldn’t have had any complaints. 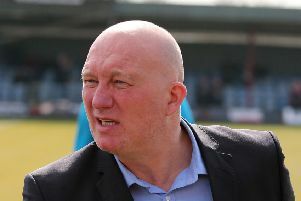 Manager Mark Ward said that despite Evo-Stik League East Division safety looking all but certain, he expects his team to keep playing to as high a standard as possible. “I want us to really have a good go and just try to finish as high as possible, not just think we’re safe now and go through the motions — that’s the most frustrating thing you can get as a management team,” he said. The Bulls had to weather a storm of Gresley attacks in the first half through resolute defending and expert goalkeeping before Jack Broadhead flicked a header home just before the break against the run of play. 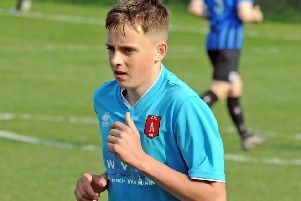 The hosts fell apart in the second half, as Jordan Annable prodded home via the bar before Ollie Fearon rounded the keeper and poked the ball into an empty net a minute later.